Hmm Its been a while since I revisited the RFM12 tutorials, so I thought I’d better write the next one. Unfortunately it’s going to be too long to fit in one post so I’ll be splitting it across a couple of posts. The last two tutorials covered a brief introduction and the physical connection to the MCU. In this article I’m going to cover the internal commands and how we go about controlling to the RFM12 module. It’s all done with Smoke and Mirrors! Well not really, I wish it were that simple…as mentioned previously that the RFM12 needs to be connected as described in the previous article via SPI, the second thing we need to do is access the the internal registers of the RFM12 for it to be useful. The SPI transfers 16-bit commands to the RFM12, as part of the SPI transfer process it will receive results (if any) back to the MCU. These commands do specific things, such as set the band, turn on the Transmitter and so on, therefore to get an understanding of what we need to do, we need to understand what the various commands do. It also helps if you to have the RFM12 data sheet open as go through this as I’ll be explaining things in roughly the same order as found on the current data sheet, most of this information is direct out of the datasheet. Just before we go through the commands, we need to be able to talk to the RFM12, and seeing that we have the SPI and NSEL correctly setup as described in Part 2 we need some routines to talk to the RFM12 and it’s registers. There are basically two ways to do this, 1) Bit banging the SPI or 2) using on-board hardware SPI peripheral. The Hope RF programming guide offers a solution to bit banging the SPI interface so I won’t cover it here. Before sending any commands the the RFM12 the NSEL Pin needs to be pulled low, then pulled high when the command has been sent. The MPU communicates with the RFM12 over the SPI by clocking 16-bit commands serially in via the SDI (MOSI) pin on the rising edge of the SCK. The data sent to the RFM12 consist of a command code then followed by a number of parameter or data bits, this command code and parameter/data bits total 16-bits in length. The command/data structure is then send MSB first so bit 15 is the first bit to be sent followed by bit14 and so on. At the same time data is being clocked into the RFM12 on the SDI Pin, results (if any) are also being clocked out via the SDO (MISO) pin into the MCU MSB first, e.g. bit15 is clocked out first, then bit14 and so on. While the NIRQ is not a required connection, it is handy for the RFM12 module to let the MPU know than an event of significance has occurred, and should be handled, instead of tying the MPU up with polling the RFM12 module to see if things have happened. Handling the NIRQ will be covered in a future Transmitting and Receiving article. el (bit 8): Enable internal data register. ef (bit 7): Enable fifo mode. The el and ef bits are used to determine how the data is moved out of the RFM module. Most of the time you will be using FIFO mode as this simplifies things. bits 6 – 1 (b1 – b0): This determines the band of the RFM12 module being used and needs to match the physical RFM12 module you are physically using e.g. you don’t set the band for 433 if you are using 915Mhz module. bits 4 – 1 (x3 – x0): Determines the load capacitance of the onboard crystal. This allows fine tuning of the crystal frequency. Defaults of 12.5pf should be used. The power management command controls the power to the RFM12 sub-modules, it allows you to select what circuit within the RFM12 is turned on/off. So by disabling these circuits when not required you can control the amount power savings of the device. Within each band (433, 868 or 915Mhz) we have control over what frequency the RFM12 module communicates on. So we can have various communication links occurring at the same time on the same band, but using different frequencies, or if we are getting interference on one frequency we can switch to another clear one. Depending on what the band is determines the resolution of the frequency steps. The 12-bit frequency value must be between 96 and 3903, if not then they will be set to these values automatically. IMPORTANT: It is also important that you keep within your countries ISM spectrum management guidelines i.e. allowable frequencies and their use when selecting your operating frequencies. This command sets the bitrate of the transmitted data or the expected bitrate of the received data. This is the RAW physical bitrate of the module. Here is a table I’ve prepared for common values. Bit 10 (P20): sets the function of INT/VDI pin on the RFM12 module, it configures it as input (Interrupt from MPU) or output (VDI Valid Data Indicator). The VDI is the default setting. This goes high when valid data has been detected by the RFM12 module, valid data is data that has made it past the Sync pattern. If set as Interrupt input, we can use this to send an interrupt the RFM12. The RFM12 will then stop what it’s doing and wait for the next command. The receiver bandwidth is the amount of frequency above and below centre frequency we are receiving on (See the Frequency command for more information on changing the frequency) that the receiver is sensitive to. So if 400Khz is select as the Receiver bandwidth and 915Mhz is the centre frequency, then the receiver will looking for a signal anywhere +200Khz above 915 and 200Khz below, i.e. 914.800 – 915.200. The bandwidth settings is linked to both the data rate, and Tx Modulation (Deviation)commands. When data rate is fastest a higher bandwidth is required. There are optimal settings for the Bandwidth and Modulation for different data rates as shown below. Having too much bandwidth can cause a higher SNR and can cause packet corruption. Not enough bandwidth and the incorrect signal is not received. Incorrectly setting Bandwidth and Deviation (Modulation) is usually one of the common problems. The LNA gain (Low Noise Amplifier) can be selected according to RF signal strength. It can be useful in an environment with strong interferers. Or alternately if you have two RFM12 modules in close proximity then you can drop the sensitivity of the Low Noise Amplifier. I’ve done also more tests now. As hardware I use the DE1 FPGA controller board just because this go faster for me and my basis system is also FPGA. But my receiver come also into the AVR controller. As you can see the speed is very high, tested at the max baudrate. Speed is very important by my application. I use this calculator and it works nice! With a simple screenshot you can save all the settings as documentation for later use. Now I continue the tests and i let you know when new results are available. Thanks for the link Frans, I’ve just updated this article with it, very useful. Looks like you are making great progress, I noticed from the logic traces that you are not using interrupt driven Tx? I guess with FPGA you could run the Tx in parallel to what you are doing, so no need to generate an interrupt. I will be interested to see how you go with distance at the maximum bit rate. Yes Stephen, I just polling the statusbit. Hardware always works parallel and fast. The SPI speed is less important, you have always to wait to send the next cmd or data. But the baudrate is of course extremely decisive. To reach optimal speed for the fire command I preset the communication into a preamble sync mode. I know beforehand the periode when a trigger will follow ( camera is set to record with the second shutter closed and wait for trigger via the laser detection of the flying insect) During this waiting periode I send continue the preamble B8AAh command, so the receiver have good sync and wait only for the 16bit synccode and next execution command. As soon as I have a triggercommand from the laser system I send the fire command, B82Dh, B8D4h,B843h,B847h and after this a few preamble codes but this have no more influence on the fire command speed. By this way I save minimum 2 preamble codes and for high baudrates the receiver is long before good in sync. But there is more. Because remote wireless have a minimum delay ( in my case near 430 usec) I have to adjust this delay with the non remote flashes on the unit. Also the remote flashes need mostly higher power and this higher power give longer flashtimes. For very high speed like this flying insects you need to adjust all this timings so that they are equal divide. This optimal central timing position can be calculated from all the powers of the used flashes because the central unit know all this information. On this way you avoid that the fix flashes fire long before the background flashes fires. For normal non highspeed work this is not so critical, as long as your flashes falls into the camera window ( let say 1/250 or 4 msec) But for very high speed even a few 100 usec are important otherwise you have some blur into the fast moving parts. I will give into the next days more details on my Flickr site of all this timings and results. Also distance tests will be done. This afternoon I have updated the hardware sequencer for best results. The shortest delay with a command of 8 bits after the synccode show a delay of 288 usec at 115 Kbaud. This is really very short. The receiver code is now moved to a second harware CPLD unit. At short distance this setup is 100% reliable. I hope to test this next Thursday at longer distance. ( Have first to cycle 70 km with my wife tomorrow, but this is very good to dream of all the hardware routines during this trip). I like your idea of continually sending pre-amble packets until you trigger then sending sync and trigger octets, that would save overheads of a the preamble and FSK alignment when timing is tight. As for timing I agree that high speed is possible over the air and was looking at doing something similar for my canon camera. If I know the time of flight etc then we could pre-empt the flash trigger and time it so the shutter and flashes fire at correct time. However for an on camera trigger only (luckily you have the benefit of laser so you can time/pre-empt things), I think I need to access canons ettl protocol via the other hot shoe contacts which will give me this information (based on Bill Grundmans work of the ettl protocol reverse engineering) as syncing with the hot shoe trigger signal will be too late. For on camera trigger I will take the startsignal from the X-sync connector. With the tests now, we know that the minimum delay is 360 usec. Tests on the Nikon flashes show an extra delay of 30 usec between fire and really flashlight on the photo detector. Let say the total minimum delay come near 400 usec. If you use front curtain sync mode the remote flashes can start after this 400 us delay. This is without any trouble for the normal speeds like 1/250 on most cameras. This must works for Canon camera’s as well. For rear-curtain sync, there may be a timings problem if the used flashpower is high. But this is the case for all rear-curtain sync modes and max camera speed on X-sync mode. So the better methode could be to set the camera in front-curtain sync and add a delay (func) from the used power and the desired rear-curtain result. For my system with the second shutter, the settings are similar. Only a longer delay is need and I must provide a safely delay so that I always flash with second shutter full open. This shutter have also a non stable zone. This zone depends also from temperature. If it’s warm the minimum delay is near 5.5ms but in the night at lower temperature this delay is near 6.5ms. Today I have tested 2 RFM12B units at 10m and 2 walls at 115 kbaud on 868 Mhz and everything works like a train. 100% reliable, every push give a flash on the remote unit. As you can see, the hardware solutions works very quickly. I have put the RFM12B modules on 2 separate breadbords and 2 FPGA DE1 Terasic boards for this tests. I have place an order for 3 SC-27 Nikon flash cables for TTL flash drive. Divide each cable in 2 pieces I have 6 connection Nikon cables. The other side of the cable can be replaced with a lowcost connector to my modules. Now I will calculate all the timings for optimal symetric flash timings in function of all the used powers. More power need to shift to the right into the camera flash window opening. This is only need for highspeed photography. Timings are calcultated into the central remote controller. This give my the necessity to send extra parameters to each flash. This parameter is a offset delay that the flash have to add when he receive the fire signal. This is needed because the fire signal go the same time to all the flashes online. Into the next days/weeks I will set all this parameters and drawings on my Flickr site. Also I will measure some timings from the X-sync of the camera and the relation with all this timings for remote control. Your last info about the newer RFM controllers is very nice. A big positieve point is the higher sensivity of the receiver and higher power of the transmitter resulting into a reliabe communication. But I have now 10 RFM12B modules instock. I will use them first. Update new timings for highspeed flash wireless system. This give an overview how I see some delays and offsets for an optimal system even if only driven by the camera. Tested on the Nikon D300 camera. i m using RFM12B for a project in 433MHz band.I am having a problem in it.I use one module in receiver mode using internal FIFO and wait for nIRQ to go low so that i read a byte from the FIFO.The FIFO overflow is set to 8 bits.Another module is transmitting data with some delay of one sec between two consecutive bytes.The problem is than with in this delay the controller reads 0x00 from the FIFO and nIRQ also goes low.This happen after the sync word detection.If i transmit 0x31 and 0x32 with one sec delay the receiver gets 0x31 0x00 0x00 0x00 0x00 0x32 so within this time gap the nIRQ continuously goes low showin that it has recieved a valid byte.Can u tell me why this happens and how to fix this. It sounds as though your Rx is loosing lock due to the delay between bytes being transmitted. You should be aiming to send a continuous stream of data bytes once you turn your TX on have sent the pre-amble and sync bytes. i.e. no interruptions between 1st and last data bytes being sent. What I suggest due to the delay between the bytes is to send each byte of data within a packet. i.e. turn your Tx on before you send and then off once sent. sorry the packet information didn’t show up. When RFM12B is tested continuously for a few hours i.e. data reception and transmission for every second. The RFM12B module does not respond to RF data receive after a few hours.In DCLK and NIRQ lines, the frequency is incorrect. Can anybody help as to why this is happening?. Also if Turn OFF and turn on the module it works fine again. I´v read your blogs with interest. I too have been struggling with these. As a matter of fact with their little brother and sister: RFM01 and RTX02 I believe they are called. The chips are actually made (or sold) by Silicon Labs and they do have a lot of extra information on them. Including an application that lets you define all your parameters and it will then create a header file for you to use. However, I am puzzled by a few things. They claim to have a proper SPI interface but I don’t think they do. For one their data send protocol doesn’t match which is something they even mention in their datasheets. But what I do not understand is how the SCK pin works. As far as I can see they do need a clock from the master. If the master is your MCU then I don’t know how you could do that without actually using your MCU’s SCK port?! Well, you could actually generate the clock yourself by using a timer. However in all the sample code I have seen floating around including yours, the SCK is just an outport pin that is pulled low and released again. Am I wrong in this? This is a bi-directional transfer. A command is clocked out to the RFM a bit at a time. At the same time a result is clocked back in a bit at a time. I am trying to get the RFM12 to work with the PIC16F877A, but I am totally lost about how to get the rf module configured. I got my two pic devices working fine in SPI, wired up. But when I try to integrate the rf module, it doesn’t seem to work at all. I’ve got a couple of questions baffling me, hope you can answer them for me. 1. How should the rfm12 module be connected to the pic? 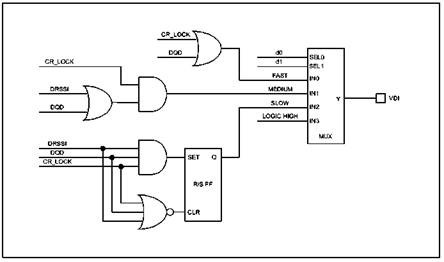 according to the rf12 programming guide example 2, it used RB7 – 4, but the SPI interface uses RC5 – 3. 2. How are the rf module parameters configured? I understand the configuration commands are given in the programming guide, but I don’t know how they are sent to the rf module, but using the code in the programming guide? 3. If I get the rf module setup, how do I send data out, do I write to SSPBUF or do I have to use some other function? @stephen: LOL. I did check very regularly for a response from you but then gave up, thinking you had moved on to bigger and better things. And now, 31st dec., I happened to stumble back here and found out you answered more than a month ago. So sorry, but thanks a lot! In the meantime, I did manage to get it working though. Both RFM01 and RFM02 and RFM12B. In 868 and 433 frequencies and mixing them as well. Once you get the hang of it they are great and seem to be pretty robust as well. I received a lot of support from Hope (and some help). But using a logic analyzer is the thing that really helped me progress this. Ah, one more thing, for everyone who ends up here looking for help on these modules. Do go here https://www.silabs.com/support/pages/support.aspx?ProductFamily=EZRadio as this is the place to find the proper documentation for the chips used (si4420.pdf = RFM12B). Check out the WDS3-Setup.zip for getting the proper config commands and definitely check out the battery life calculator. All great tools. I was looking at the RFM12.H header file you have created and found a mysterious RFM12_PLL_LPX in the PLL setting command definitions. In the latest data sheet this location is a fixed 1. Is this a throwback to an old version of silicon? Yes more than likely, that header file was written a few years a go and Hope have released some revisions to the original document I was then working from. the RFM12B has its own 10Mhz crystal so why there’s a pin SCK – clock input from MCU? The SCK is used in the SPI communications and is part of the SPI standard. The SCK is provided by the MCU, not the RFM12. The on-board Crystal can provide a CLK output to drive a MCU or anything else that requires an oscillator and can be controlled up to 10MHZ. I use this to test my SPI communications between the MCU and the RFM12. i.e. I put a frequency counter or oscilloscope onto the CLK pin of the RFM12 and then send through a command to the to change the frequency. Thanks For that nice article, everything is working just fine !!! i am using two pic mcu and two rf12 433MHZ and i used the hope rf bit banging code and its working just fine. my question is when i send the preamble and the sync why i dont see them in the receiver buffer of the pic receiver i only see the Data bytes sent ? sync bytes are the bytes to sync between TX and RX and not counted in your RX data. they would be automatically abolished when processing. if you wanna know exactly that process just contact Hoperf for more information! The part that I am really confused about is the RF communications. I have configured the RFM chips through the SPI on my PICF18452, and thanks to these awesome tutorials, it went pretty well. I need help understanding how to send and receive data through the FSK. I can see on the few coding examples that they first turn on TX, send a Preamble bit, then some synch. But how would I have known this without the examples? And, the examples don’t exactly match each other. Some pseudo code would be really helpful. // then how do you send data? // and how do you receive it? This is what I had the most dramas with when I first started, what is working? Is it transmittng? Is it receiving? and of course the hoperf examples are hard to follow and just didnt work for me, so can be very frustrating. I would suggest you look at RFM12 library at http://jeelabs.net/projects/cafe/wiki/RF12 These work reliably and is what I have used in my past projects. Although they are AVR they are good to see how things are done. First Steps, make sure that the SPI is working on both ends, write a test sequence to change the clock output frquency and make sure this is working, if it’s not then nothing will work. 2) have no interruption in the Tx Sequence, i.e. no pauses or delays. 3) no debug code in the Tx routines. If there is a pause in the Tx sequence then the Rx will loose sync and you need to restart the preamble/sync sequence. End your transmit packet with two preamble bytes before turning off the Tx. This will make sure the that all packets are sent. Thanks for your reply- the pseudo code is helpful. My SPI communications is working…I can see the SPI CLK signal on scope and also I turn off the crystal output on the RFM12B. I do not think I am successfully transmitting. I do not know how to tell if I am transmitting. I don’t have an RS232 output set up on my board or a spectrum analyzer. I have an oscilloscope which can see a 9600 baud rate CLK signal and SPI data. I also have an LED attached. 1. Besides the FIFO, how else could you be TXing and RXing data? I have tied the FSK/DATA/nFFS pin high based on part 2 of these tutorials. One of the data sheets says it should be tied low for FIFO, but it is not definitive. Hope RF has a schematic showing FSK tied high, but who knows if they are using the FIFO. 2. After the configuration routine, do I need to chip select before and after each byte of data (actual transmit data) that gets sent? 3. My problem is now the NIRQ pin. At first it was low all the time, but now I start my configuration code sending 0x0000. Now it is high all the time and I don’t see it go low ever. I have a 4.7k pullup on the NIRQ to 3.3V. I just added an LED on/off at the end of the loop. I can see that the data is clocking on the RFM-SDI and I can see the SPI clock too. So I’m sure that data is going from PIC to RFM. So my question is still, how do I know the data is then leaving the RFM12B module? I disconnected the FSK pullup for now since I’m not sure if it should be tied high or low or if it matters. This project has helped a lot. Hope there is still help you there. I have my transmitter working, but I can’t get nIRQ to go high so I can use interrupts. Which settings affect the nIRQ in TX mode. Have the other parts in this tutorial been uploaded? I am unable to find them (parts 3b and onwards). This is really a great tutorial page, thank you for your post. At the moment I am trying to get a set of RFM12B (433MHz) up and running. However they do not seem to work as I expect them to work. In my search I encountered some weird behavior, perhaps you have an explanation for the observed behavior. 1) make sure SPI is properly working, which it does. – it works perfectly, so I am confident that both spi work and that I am able to send commands, and the RFM modules are receiving them and are working. 3) without sending any configuration commands when turning on the chips, steps 1 and 2 work. However, as soon as I send the first configuration command (0x8208, which should be the same as the configuration at startup) nothing changes, but after a status read command (0x0000) the clock output is disabled (CLK is 0). Obviously I also tried to send a (0x8209) with identical result, moreover, sending (0x8209) does not even shutdown the CLK by itself. Directly after turning the module on, I was able to turn on/off the CLK pin by sending 0x8201 (turn off) and 0x8200 (turn on). As soon as I send one status read command (0x0000), CLK is dead all the time…. I getting rather desperate now, so any suggestions would be very much appreciated. What are your voltage supplies like, reset all tied high? it’s been a while since I’ve played with these, but something does not sound right. what is the IRQ status during this? can you read the status after sending the problem command? It looks as if I have found the problem for the problem described above. I do not have a module working (i.e. sending and receiving data), but I am now able to get the response I expect when sending the commands controlling the CLK output pin. I found a small bug in the SPI routine: I read the output pin after pulling the clock pin high, reading it before seems to solve the problem. The weird thing is that even with the routine that included the bug it seems was sometimes possible to have communication with the module. > I think the voltage supply is decent enough: the module does not reset. > Status register only has a high POR bit at first read, in subsequent reads status register is equal to 0. My next try is to send a bunch of configuration commands and see if I can get some communication between two modules going. Do you have any suggestions for intermediate tests to do, in order to make sure that the modules are configured correctly? Thanks again for your great tutorial! It has been the most valuable source of information for me in getting this far with the RFM modules! I’ve been trying to use the code you made available and been going through some trouble. I’m using PIC18F4550 and RFM12B on both sides of the (not yet) communication. I’m also using the MPLAB IDE, so I had to make some changes to your code and this may be the reason why it is not working. I think the first problem to be solved is in the tx side, since the LED is supposed to blink after the transmittion and it is not doing so. I commented this part of your code in both sides becouse I simply did not know what was it about, can you make it clear for me? I suppose the second line is just to deal with the disable of the analogic functions, but the other ones I don’t have a clue!